I photograph anything that catches my eye, so I have many images that I like that are not part of a defined series or collection. Check back often, as you might find any subject photographed in any style here. This is what "Light Brew" is all about; capturing light in a way that evokes thought, feeling and reflection. This photograph is an award-winning still life of deer jawbones someone has collected over the years. I think they make provocative yet beautiful photographic subjects. Over the years I've done a lot of antiquing with my mother. In many of these old shops, it's pretty easy to find some interesting subjects for unplanned still life photographs shot under available light. It's not unusual to find collections of Americana arranged in aesthetically pleasing ways that speak volumes culturally and socially about the era they represent. I'm generally not a portrait photographer, but I have created a number of human and animal environmental portraits of which I'm especially proud. They include some images from a photo shoot I did for the performer Alex Townsend (aka Atown Sound). You can find out more about this shoot here. His portraits are not for sale, but I am open to creating similar images for other individuals. If you are interested in a protrait session, please contact me. Photography is all about light, and water has a unique relationship with the rays emitted by our sun. Water reflects, refracts , and diffracts light in often unpredictable ways that can be difficult to capture on camera. Light, in turn, brings out the color and beauty of the water in even the most mundane and tiny of streams. On just about any beach one can find colorful collections of seashells. There's a reason why they have fascinated many of us since we were children; they are the discarded homes of creatures we rarely see naked and unprotected. They are unlike most other structures produced by animals, as they are not fabricated from cells, but from the mineral rich secretions of mollusks. I find it strange sometimes the objects that people have chosen to keep and preserve over generations. 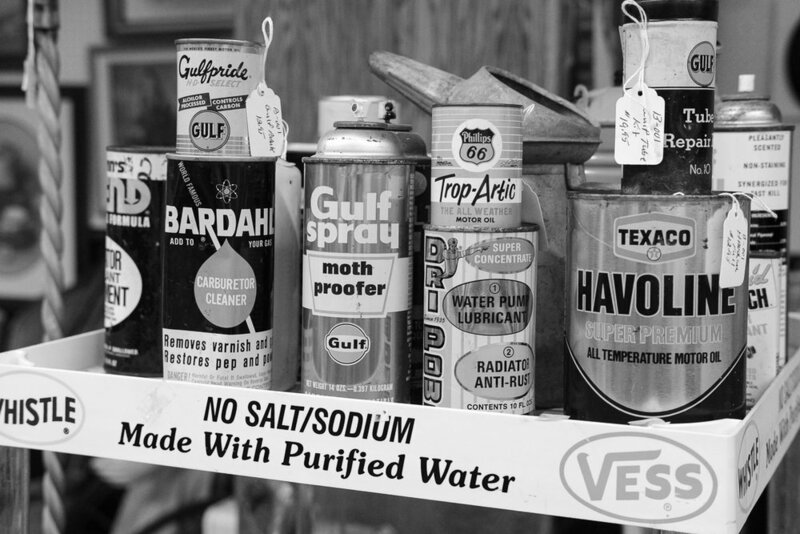 Take, for example, these old spray bottles and cans of petroleum products. Someone's failure to clean out their garage over the last 50 years, becomes for another a treasure trove of decorative accessories and movie props. I just love the clarity of this photo and the perfect range of shades from black to white. I highly recommend hiking; I love being out in nature, breathing fresh air, and feeling at one with the beauty of earth and its living things. I've become attuned to looking and watching over the years, and have witnessed many natural dramas unfolding before my eyes, like hawks hunting woodpeckers, a family of otters feeding on fish, and owls mating on the barren branch of a dying tree. I have also been lucky enough to come across treasures that I would otherwise have never seen, like this empty armadillo shell. It made a rare and unique Winter still life under natural light. The railroad holds romance for many people, especially the train engines and cars from an earlier era when this mode of travel to far off places was a true adventure. For me, this photograph of the interior of an old mail car at a museum in Bowling Green, Kentucky, captures the romance of that bygone era. I find it's clarity, symmetry and warmth very appealing. Savannah, Georgia is one of my favorite cities. With its long and rich history, the sense of place there is palpable, and feels like it's just hanging in the air. I love all the historic houses, churches and cemeteries, and the Spanish moss draping the trees. This church has very impressive and imposing spires. Shot with a wide angle lens aimed upward, the spires appear to converge, pointing toward some place out of frame, high up in the blue sky. I believe this photograph captures the original intent of these structures; they suggest that the tips of the spires are touching heaven. What is it? People often wonder what object I've actually photographed in this still life. My sister says that it reminds her of the neolithic statues of the "earth mother" carved from stones in southeastern Europe thousands of years ago. Now I see it too, so I've named the photograph Neolithic. The image began, however, as a close-up of a glass of peach tea in a hand-blown glass container. Where do old tractors go to die? To old barns and sheds, barely protected from the elements. Why do we hang on to them? Why are we attached to them? Do they represent the passing of a generation? A lost or disappearing way of life? Or, like classic cars, do they simply remind us of our youth? I don't think so. Tractors are beasts of burden, and abandoned farm implements like these remind us of the lost fruits of our labors and the inexorable passing of time. They stimulate our bittersweet memories of the old folks that have passed away. This is probably my favorite environmental portrait of Alex. It was taken in front of the Roxy Theater in downtown Clarksville, Tenneessee. If you would like to learn more about this shoot, please check out this blog post.